SunTrust Plaza (originally known as One Peachtree Center) is a skyscraper in downtown Atlanta. It is 871 feet (265 m) tall and has 60 stories of office space. 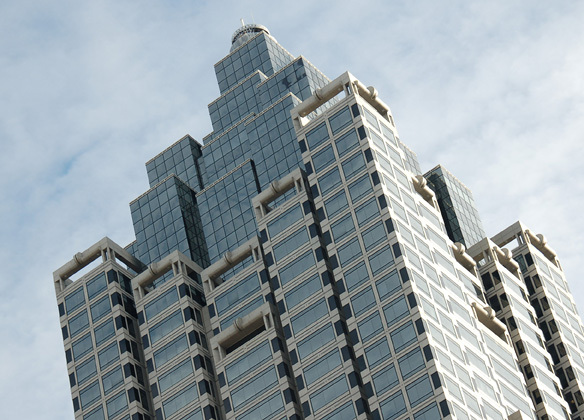 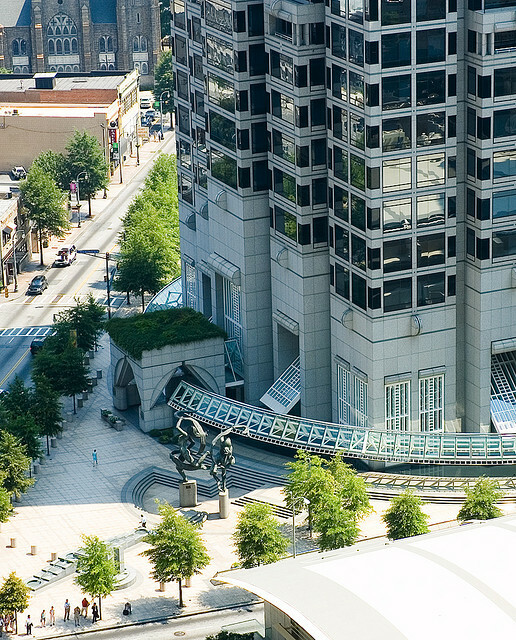 Built as part of the Peachtree Center complex, construction was finished in 1992, and has been the second-tallest building in Atlanta since then. 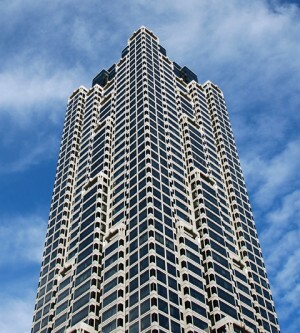 When completed, it was the 28th tallest building in the world, and 21st tallest building in the USA. 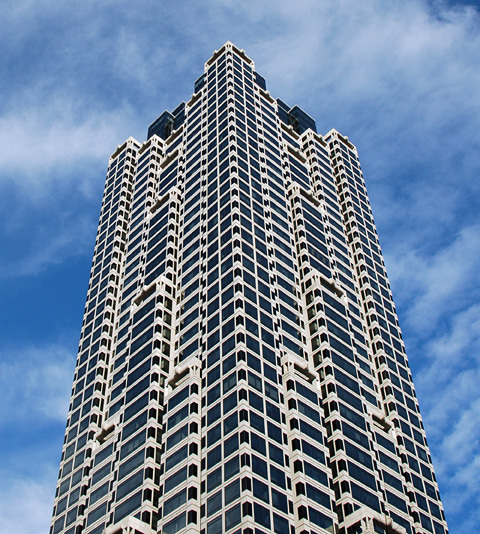 Architect and developer John Portman originally conceived this building in the 1980s commercial real-estate frenzy as a speculative office building. 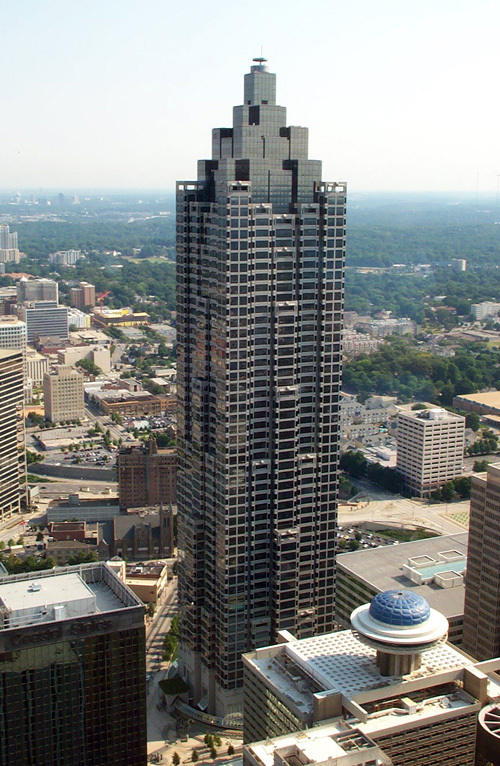 Its basic design elements, a postmodern square tower with an elaborate base and crown, represented a departure for Portman from his earlier International-style work, and are said to have been inspired by Philip Johnson's wildly successful design for midtown Atlanta's One Atlantic Center. Ground broke in 1989 with great fanfare, but by completion in 1992, the bottom had fallen out of Atlanta's real estate market and the building sat largely empty, nearly forcing Portman into bankruptcy and causing him to lose control of most of his real estate holdings.